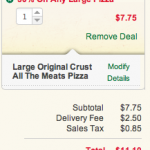 You are here: Home / restaurant deals / Domino’s and Papa John’s 50% off Pizza Coupons! 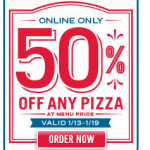 Domino’s and Papa John’s 50% off Pizza Coupons! Do you need a night off from cooking tonight? 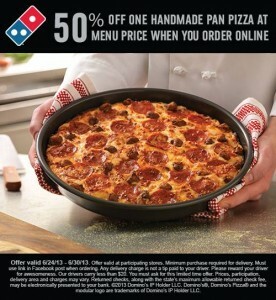 If you’re feeling like PIZZA tonight, check out these Domino’s and Papa John’s 50% off Pizza Coupons! PLEASE NOTE: This promotion may not be available in all areas and you must order a regular-priced pizza for the 50% off code to apply. 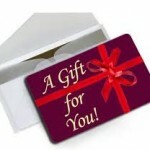 Taxes and delivery fees do apply and please don’t forget to tip your driver. 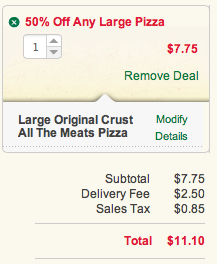 Papa John’s 50% off any large pizza!